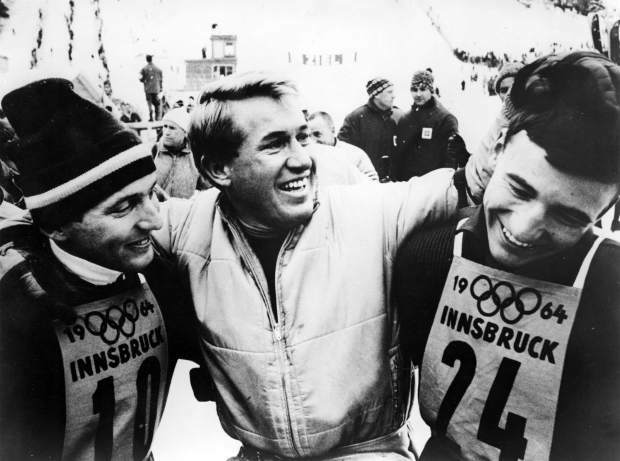 f Billy Kidd, Bob Beattie and Jimmy Heuga at the Innsbruck Winter Olympics in 1964. Kidd and Heuga were on the U.S. Ski Team and Beattie was the U.S. Ski Team coach. Known as "Beats" to his friends, former U.S. racer Billy Kidd said Beattie "really changed the status of U.S. skiing." Beattie's influence in the skiing world and at the University of Colorado lives on to this day. Alpine skiing legend Bob Beattie, who had been dealing with various health ailments, died Sunday. He was 85. Beattie’s son Zeno said his father passed away on Easter at Zeno’s home in Fruita. 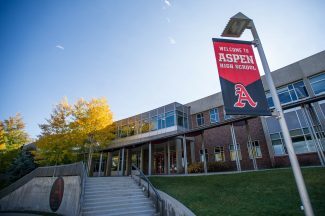 Bob Beattie, who was living in Woody Creek, adopted Aspen as his second home when he moved here in 1970. 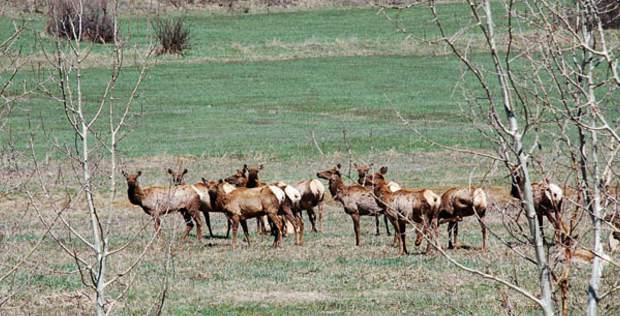 He later moved to Woody Creek in 1976 and lived there since. Zeno said his dad, who was a legend in skiing and broadcasting, was a very determined man. Once he had made up his mind that something needed to be done, he would figure out a way to accomplish it. The fiery, charismatic Beattie put U.S. skiing on the map on the international stage in the 1960s. He was named head alpine coach for the U.S. Ski Team in 1961 and led the U.S. to four medals in the 1964 Olympics, including the first two medals ever by the men’s team in alpine skiing.He also coached the ski team in the 1968 Olympics. Beattie was well-known as a skiing and Olympics commentator for ABC Sports, where he started working in 1969. In 1966, Beattie teamed with French journalist Serge Lang and Honore Bonnet to create the World Cup ski racing circuit as a way to build consistent interest in the sport. When the International Ski Federal, which governs the World Cup circuit, insisted on holding onto what Beattie felt was a “boring” format of skiers coming down the slopes one at a time, Beattie created the World Pro Racing Tour in 1970 to promote the dual racing format he loved. Beattie was never afraid to ruffle feathers at the FIS or even the U.S. Ski Team, which he coached for nine seasons. In March 2017, he told The Aspen Times, “It’s fun to ruffle feathers. It really is.” When he said it, there was a genuine twinkle in his eye. Beattie was honored for is contributions to skiing during a ceremony at the Hotel Jerome in Aspen during the World Cup Finals in March 2017. Beattie moved to Aspen in 1970 after leaving the U.S. Ski Team. Along with ABC Sports, he also worked for ESPN for several years. Beattie, who led the University of Colorado ski team to NCAA championships in 1959 and ’60, was inducted into the National Ski Hall of Fame in 1984 and inducted into the Aspen Hall of Fame in 2004. Despite all of his major accomplishments in ski racing, Zeno said his dad was especially proud of helping establish the program through the Aspen Valley Ski and Snowboard Club that gets Roaring Fork Valley kids out on the slopes at a low cost or free. It had nothing to do with racing and everything to do with getting the kids on skis. More than 1,500 kids participate in what is now known as the Base Camp program. Zeno recalled that his dad wrangled with officials at Aspen Skiing Co. to get the kids’ program started. They reached an agreement in 1986. 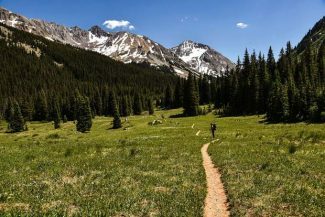 Bob was pleased with the more recent dealings with the Crown family, owners of Aspen Skiing Co., and Skico president and CEO Mike Kaplan, Zeno said. Beattie, who was married four times, is survived by his wife of 25 years, Marci. In addition to Zeno, Beattie had a daughter Susan, six grandchildren and eight great-grandchildren.